If You Hate Doing Exercises, Try Yoga! 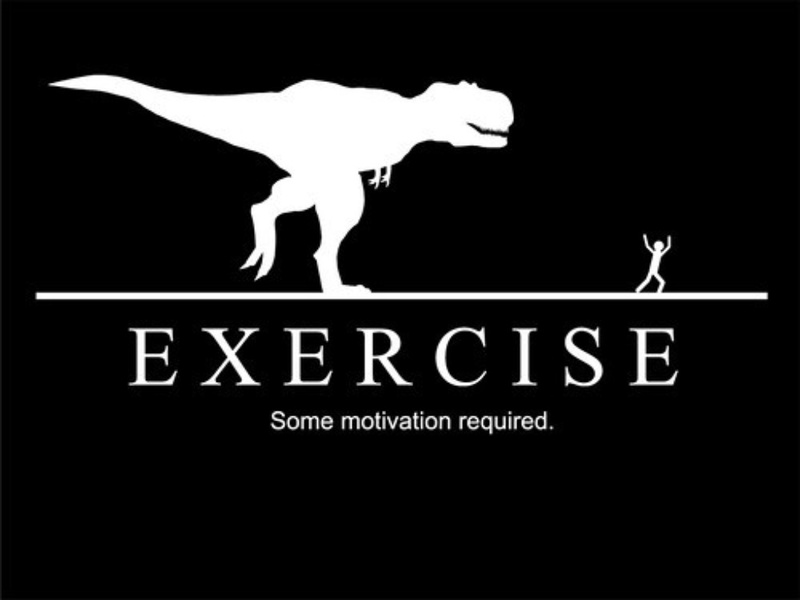 The word “exercises” lies, if you ask me. “Exercise” (seemingly a close cousin to “exercises”) brings up visions of swimming or hiking in the mountains or playing tag with the kids. It’s fun as in “Whew! I’ll bet that was good exercise!” For me “exercise” isn’t at all similar to: “Okay, Ladies. Let’s do our exercises and feel the burn!” “Burning” and “having fun” are concepts that don’t seem to fit together. Part of the problem is I don’t take orders well, I suppose. I’m not drawn to activities that boast of being “really good discipline.” Tell me I have to do anything and I’ll immediately start imagining a way out of it. I can’t help but remember my physical education teacher barking orders and scowling at any of us who couldn’t climb a rope. In my world, “exercises” require instruction, copious sweating, and pointless competition–performing sit-ups and chin-ups and push-ups, etc. In spite of all that emphasis on “ups,” they made me feel down–even when I was doing well. The judgment factor transformed activities that should have been really fun into chores. Some yoga classes do involve exercises in the classic sense. I avoid those classes. They’re for the young women who still think they need to prove something to be okay. It seems to me that those women have to be pencil thin and glow with silky skin like some ideal in their heads, and I wish them well. I’m not thin and I’m just glad I have enough skin to go around. I don’t ask much more of it. I’ve heard that enthusiasts participate in yoga competitions. We might as well have breathing competitions. Aren’t we missing the point? Yoga is for strength, balance, stamina (okay, stamina is a friend of exercises) and flexibility. It can improve your mood, address certain aches and relax you. My husband and I stumbled onto it as we searched for an activity that could expand his breathing capacity. A friend of mine nearly snorted when I told her. “I don’t believe in that religion,” she told me. Yoga isn’t a religion–unless you invent one like the people who make cutting coupons into religion. If you want to learn the history or mechanics or even the research studies on yoga, you can do that easily enough without me. Suffice it to say, you can find solid proof that yoga helps people inside and out. What I can tell you is that sweating or competing are not part of the traditional yoga I’m learning. Our instructor is formally certified to teach and she has a good background in anatomy, the nervous system, and other forms of exercise (such as the martial arts and Pilates), so she tailors our practice to us. My husband and I practice privately, because we were once scorned out of a pre-conditioning class for skiers for not being serious enough. We aren’t serious people. One day our yoga instructor asked us to assume a fetal position, and my husband mis-heard her and attempted a beetle position. Yes, he was lying on his back with his feet and hands in the air–a dead beetle. Laughter is good medicine. The poses are just positions you take–standing on one leg, bending over at the waist, lying flat against the floor. (I’m really good at that one.) You do attempt to increase your flexibility slowly, and you can do that better if you’re regular about your practice. A good instructor knows how to work both sides of your body, how to give you movements that address problems like a sore back, and how to keep you from straining anything. Bad instructors exist. They can hurt you. When you have a good instructor and you complete a session, you feel like you’ve done “exercises” without any of the agony. I call yoga magic because I started going to class precisely when my body starting thinking about acting old. My posture was bending, my back was complaining about my hours on the computer, I felt unsteady now and then, and I started believing the magazines that tell you what you face at different ages. Yoga took at least ten years off my outlook. I’m energetic. I love to laugh. I can pull on a sock without sitting down. Currently, my husband and I are working harder on proper breathing–to manage stress and asthma. I think anyone who wants to maintain youthful flexibility and balance (who needs broken hips?) should definitely find a qualified, appropriate yoga class. Skip the ones that sound painful, because they probably are. You don’t need pain for gain. Your physical education teacher lied. You can find out more about our yoga studio by visiting www.lavayogastudio.com/about. This entry was posted on March 23, 2014 by Personal Journeys with Gramma in Musings and tagged Asthma, Balance, Exercise, featured, Fitness, Flexibility, Health, Martial Arts, Musings, No Competition, Pilates, Poses, Positions, Posture, Sense of Self, Stamina, Strength, Stress Relief, Taking Orders, Well-Being, Wellness, Yoga.